Katy never allows herself into a committed realtionship. She thinks that her relationship with PE teacher Ben, who is eight years younger than her is just a bit of fun, until she gets pregnant. Around the time she got pregnant she slept with bith current boyfriend Ben and ex boyfriend Matthew. 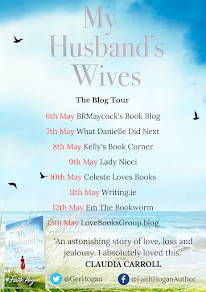 She tries to put all thought of Matthew to the back of her mind, until she walks into her antenatal class and Matthew is there before her, with his pregnant wife, who is expecting twins. The story follows Katy, who is trying to keep Ben from finding out that he might not be the father if her baby. We see the couple become friends with Matthew and his wife Alison and the conseqences that come from it. This book moved along at a fast pace. I had to put the book down many times, because I was howling with laughter. The charaters were all loveable and very realistic. It was a good plot, which moved along at a good pace. I would recommend this book to anyone, who is looking for a good summer read! I found that I went through the book at a very fast pace and found it funny throughout. This is a must read!! !